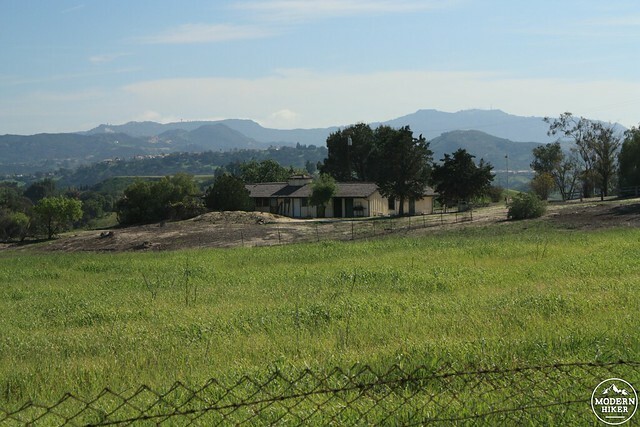 In the late 1990s, executives at the now-defunct bank Washington Mutual had their eyes on a nearly 3,000 acre tract of ranch land in the western San Fernando Valley near Calabasas, Simi Valley, Woodland Hills, and Agoura. 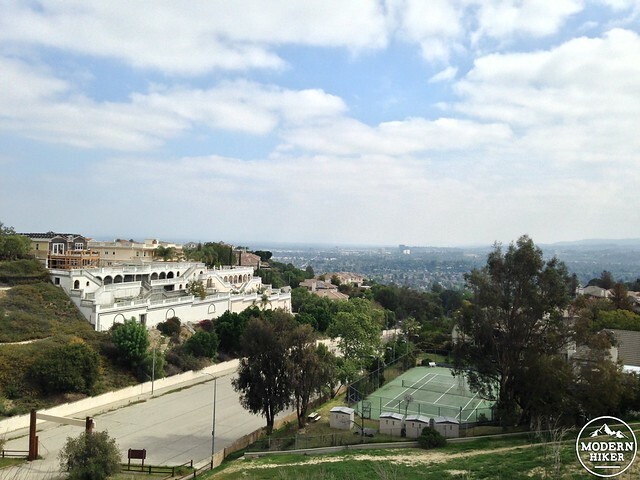 The land was formerly owned by the Ahmanson Family, one of the most influential families in the history of the Los Angeles area. The bank had come into ownership of the mostly undeveloped land and had plans to build a 3,050 home housing development. 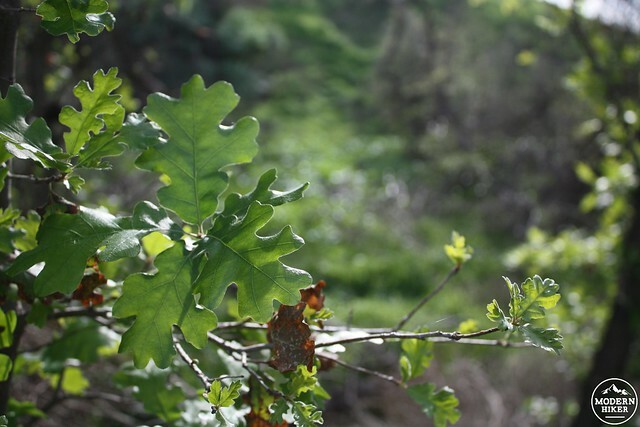 Opposition was fierce among local environmentalists, who appreciated the area’s rare open space, wide meadows, wetlands, and seasonal waterfalls, and the development plans immediately ran into some problems. Initial environmental impact reports estimated the leveling of the very hilly land for houses would have created some 20,000 tons of airborne dust, 46,000 vehicle trips per day and more than 840 tons of new smog per year. 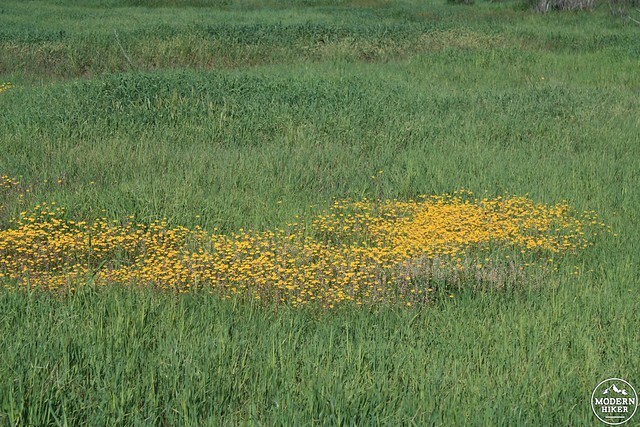 After the report was filed, scientists discovered the ranch was also one of only two existing habitats for the San Fernando Valley Spineflower, which was thought tho be extinct, as well as habitat for the Red-Legged Frog, which was added to the Federal Endangered Species list after the housing development plans were announced. According to the site Ahmanson.org, which documented the events, Washington Mutual pressed onward with the plan despite the public opposition. Opponents organized boycotts of Washington Mutual, dutifully attended public hearings on the property, and purchased radio ads in Washington Mutual’s hometown of Seattle criticizing its actions in Southern California. 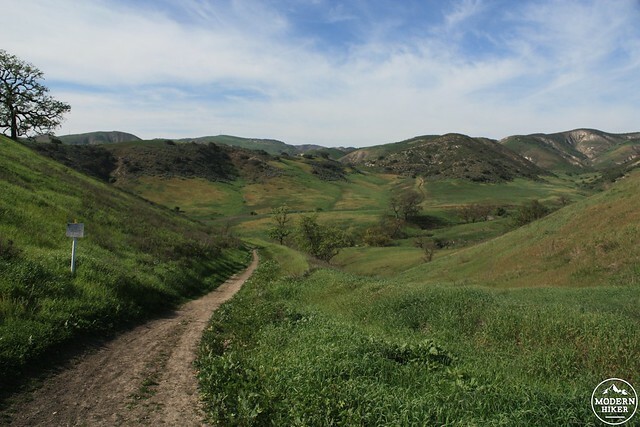 In 2003, Washington Mutual instead agreed to sell the land to the State of California, and the Upper Las Virgenes Canyon Open Space Preserve was formed – bordered on the west by the already existing 2,650 acre Upper Las Virgenes Open Space Park. The land became protected, and Washington Mutual rode off into the sunset (and the financial collapse of 2008). 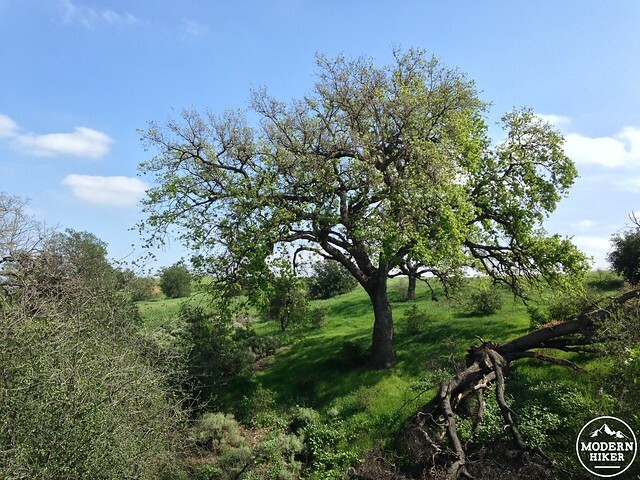 Today, visitors can thank the activists of the early aughts for preserving this incredible open space – a reminder of what the Valley looked like before housing developments, strip malls, and freeway interchanges. 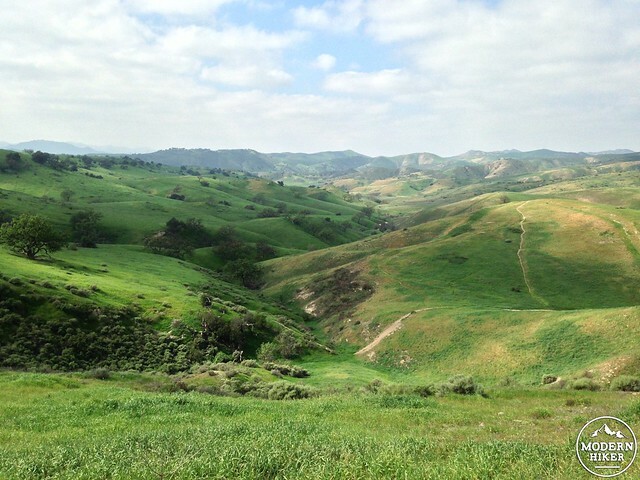 This sprawling, expansive green space is littered with wide fire roads, old ranch trails, and mountain bike trails, and is a popular destination for hikers, bikers, and equestrians of all abilities – especially on the weekend. 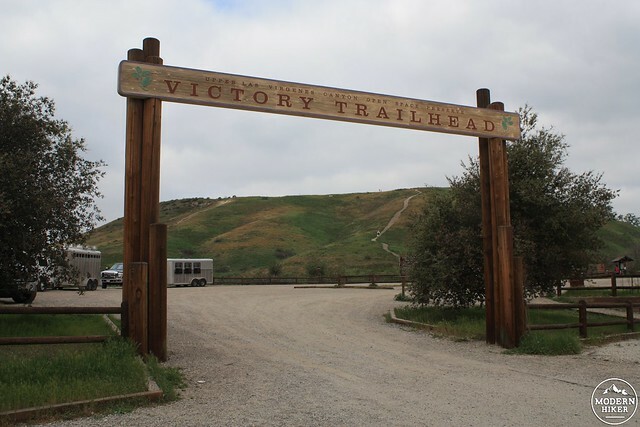 For this route, begin at the park’s eastern entrance at the Victory Trailhead, right at the end of Victory Boulevard. There is a moderately-sized dirt parking area available ($3 use fee at an iron ranger, cash or checks accepted) or very limited street parking outside the trailhead. At the trailhead, some informational kiosks will inform you about the area’s plant and wildlife, upcoming outdoor programs, and park rules and regulations. Pass the gated entry to the trail, where you’ll immediately see a sign marking the Juan Bautista de Anza National Historic Trail. 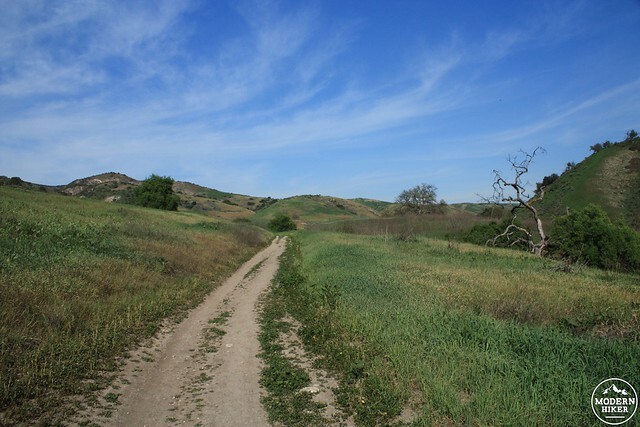 This 1,200 mile long trail follows the route taken by Spanish explorer Juan Bautista de Anza as he traveled with 240 men, women, and children (and one thousand cattle and horses) from Nogales, Arizona to the San Francisco Bay from 1775 to 1776. Anza founded San Francisco when he arrived, and today you can experience the trail in many forms throughout the two states (the NPS has a wonderful interactive map with historical diaries here). 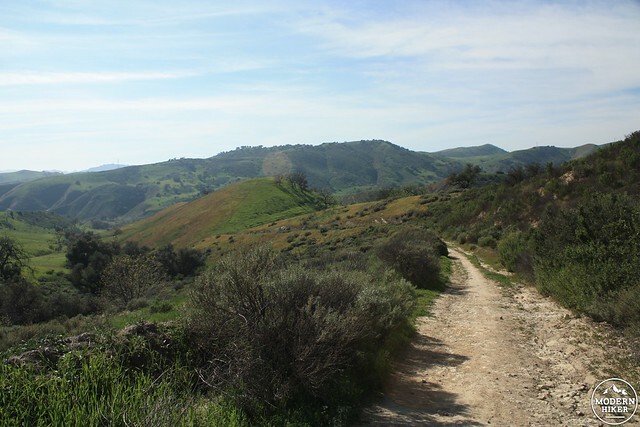 For now, however, ignore the Anza Trail and head southwest on the main fire road. Immediately – almost suddenly, even – you will leave the suburban sprawl of the Valley behind and be transported to a time and place that feels unbelievably far away. I should note here that the trails in this park are deceptively difficult to follow. I highly recommend bringing a topographical map with you or at least closely follow the route described here in the write-up or on the GPS track. Trail signage is spotty in the park – some junctions are extremely well-signed, while most others have limited signage or none at all. It also doesn’t help that the old ranch roads are still visible in many areas of the park, or that use-trails seem to abound in every direction. 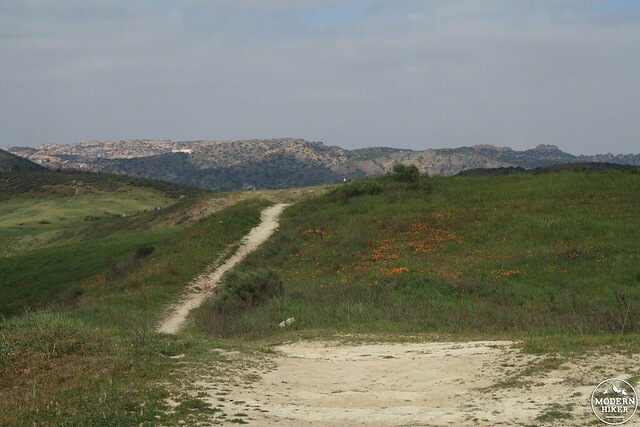 Follow the main trail southwest for 0.23 miles, then take a sharp left onto the Joe Behar Trail. This sagebrush-lined trail loops back toward the Victory Trailhead as it slowly gains elevation, giving you one last glimpse back at the odd mega-mansions that loom just outside the park’s boundaries. I don’t know what’s going on at this Roman villa-looking thing, but it seems like they’re just building houses on top of it? 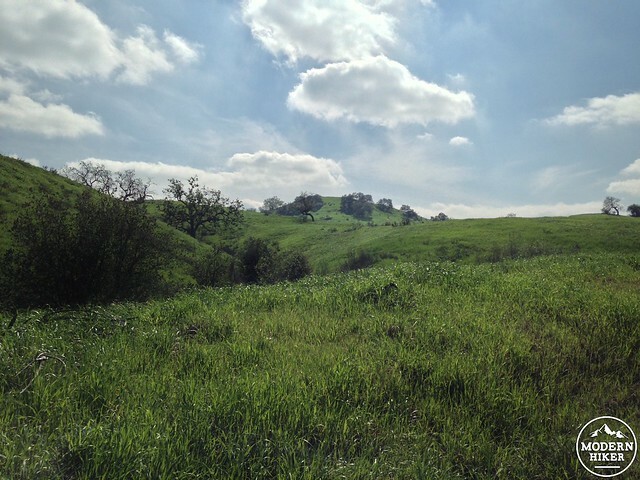 At the half mile mark, the trail crests the small hill you’ve been climbing near a set of several mature live oaks rise from the grassy hills. 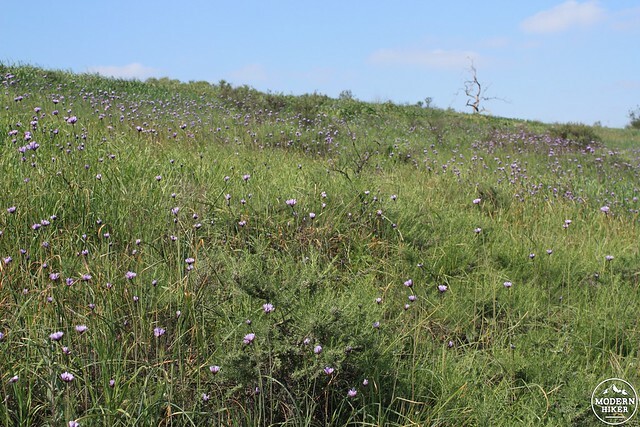 If you’re lucky, you may see some poppies blooming on the hillsides, too. The Joe Behar Trail levels out a bit as it continues its southwesterly march. Rows of homes are visible to your east, while to the west it’s nothing but wide open spaces as far as you can see. 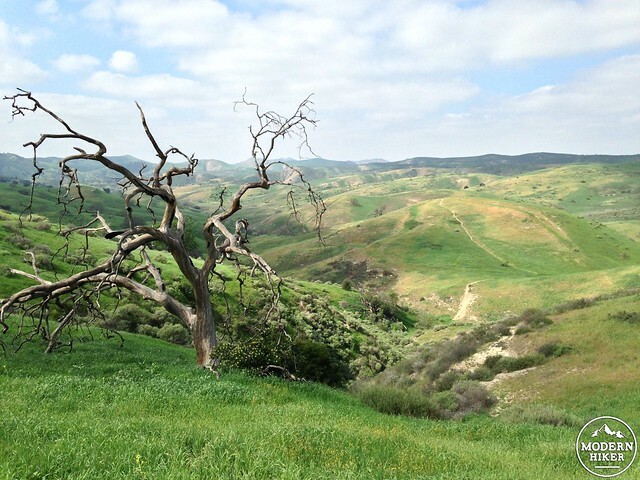 I had the pleasure of hiking this trail for the first time in the spring after a few winter rains, and I can say without exaggeration it was one of the most beautiful landscapes I have ever seen in Southern California. 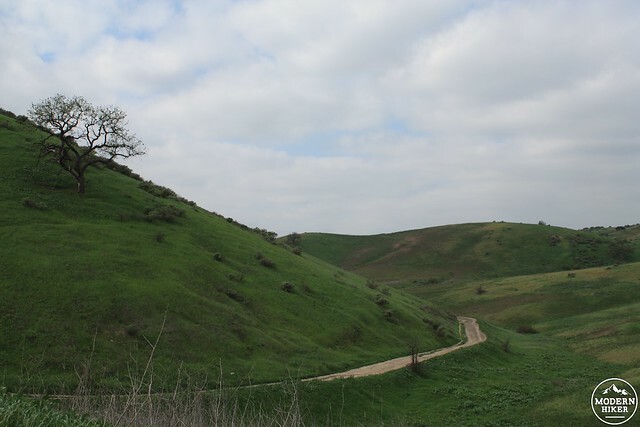 Just before the 1.2 mile mark, you’ll reach a three-way junction at Lasky Mesa. Straight ahead and the right is the Mary Weisbrock Loop Trail, which altogether runs a short loop around the mostly flat top of the mesa. 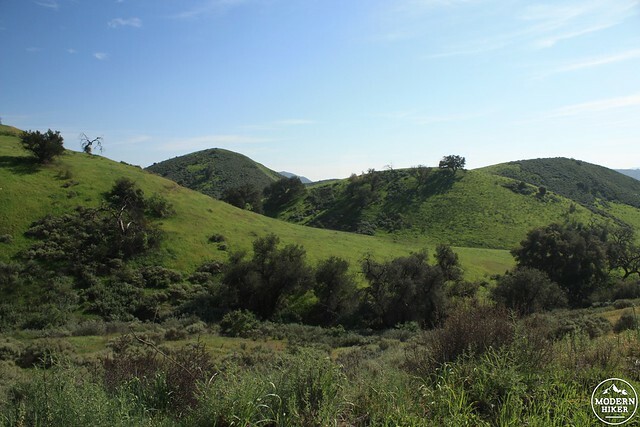 Lasky Mesa is named for Jesse L. Lasky, a vaudeville performer turned pioneering film producer who formed a production company with Oscar Apfel and Cecil B. DeMille in 1913. The company rented a barn in the Cahuenga Pass to shoot DeMille’s first film The Squaw Man in 1914 – Hollywood’s first feature film (today the barn still stands and is the home of the Hollywood Heritage Museum). 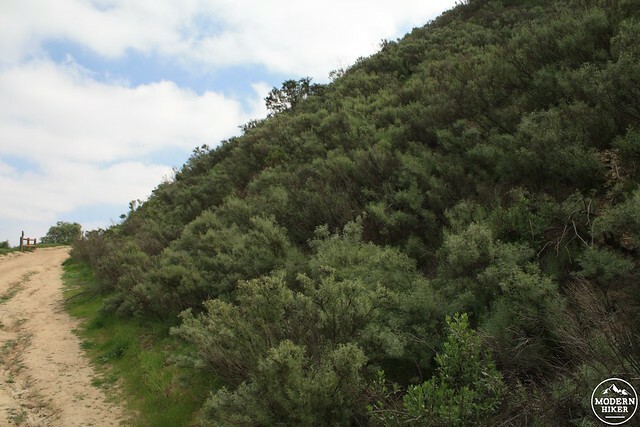 Lasky used the mesa and nearby ranch house for his “big scenes,” including films like Gone With the Wind, They Died With Their Boots On, The Charge of the Light Brigade, and television shows like Petticoat Junction (photos from LA Mountains). Stay straight to continue heading southwest. 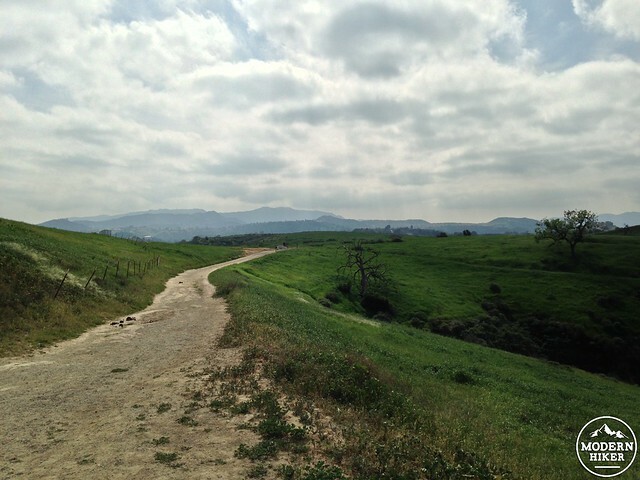 At the 1.5 mile mark, the Weisbrock Loop Trail makes a sharp right-hand turn at the former Ahmanson Ranch building. The building itself is not open to the public, but you can rent it to stage a beautiful outdoor wedding on its grounds. Head west on the mesa for now, soaking in the wide-open views in every direction. At the 1.76 mile mark, the Weisbrock Loop Trail hangs a sharp right hand turn. If you’d like to shorten the trip, you can loop back around on this trail, and in about 0.7 miles you’ll arrive back at the first junction for a nice lollipop loop trek around the mesa. Alternatively, you can take a slightly longer route by starting down the Weisbrock trail but ignoring the mesa loop and instead following the ranch roads to the East Canyon Trail and then back to the trailhead. That route is about 0.6 miles to the East Canyon Trail and then another 1.15 miles to the trailhead. This route, however, takes a slightly more comprehensive trip through the Upper Preserve’s protected area. Stay straight at the junction with the loop trail, ignoring all old roads and paths on either side. Just before the 2.1 mile mark, veer to the slight right to continue following an old ranch road as it makes a slow descent to the canyon floor. 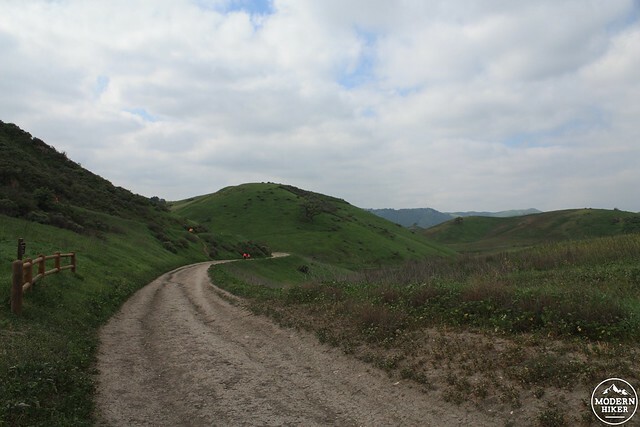 This old ranch road makes a short loop to the north to avoid a steep descent, then continues traveling west. Aside from a few distant radio towers, you’ll think you’re miles away from civilization here. The crowds near the Victory Trailhead will likely have disappeared by now, and you may get to have the entire canyon to yourself. The road makes a noticeably sharper descent here, and you’ll pass several signs for a gas line that runs through the property. Here, the road hugs the north side of a broad hill, and at about the 2.84 mile mark you’ll pass some more gorgeous, mature live oaks. At this point, look for a narrow use-trail that heads into and across the narrow riparian canyon that hugs the intermittent stream here. 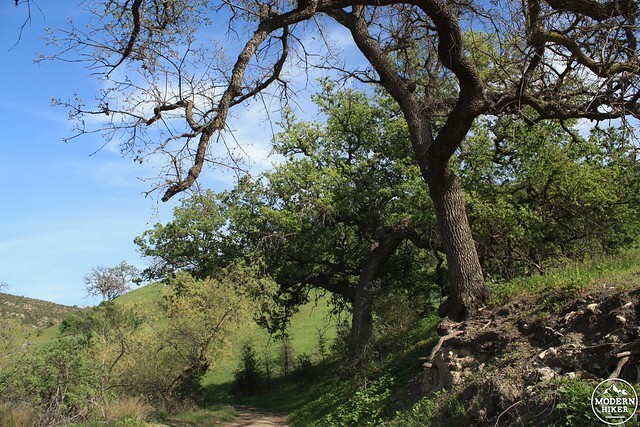 Hop the (probably) dry stream and you’ll almost immediately hit the East Canyon Trail, a broad fire road path that connects this region with Las Virgenes Canyon to the west, and Cheeseboro and Palo Comado Canyons even further west. From here on out, you’re pretty much staying on this main trail until you return to the trailhead. Stay to the right at 3.07 miles and again at 3.18 miles. At 3.6 miles, a side trail descends into the canyon again. You can stay to the left here to stay on the main road but both routes join back up again in another 0.3 miles. Just stay on the main fire road and you’ll be back at the Victory Trailhead in another 1.14 miles … and don’t forget to soak in all the beautiful scenery around you while you have the chance! You might find it takes you longer than you think to hike back to the trailhead if you brought a camera with you! The trails themselves are generally in good condition, but can be extremely confusing to visitors unfamiliar with the area. 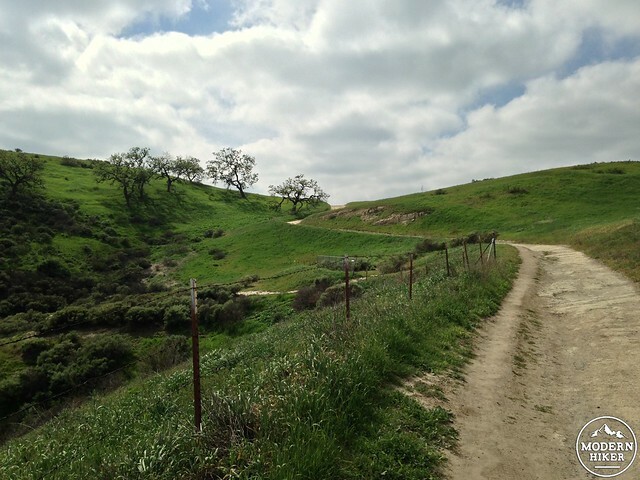 Many junctions are not signed, and in addition to the "official" trails, there are numerous old ranch roads and use trails from hikers, equestrians, and mountain bikers. We strongly recommend you bring a good map with you - or follow this write-up as closely as possible. Great hike, did it today 3/7/15. 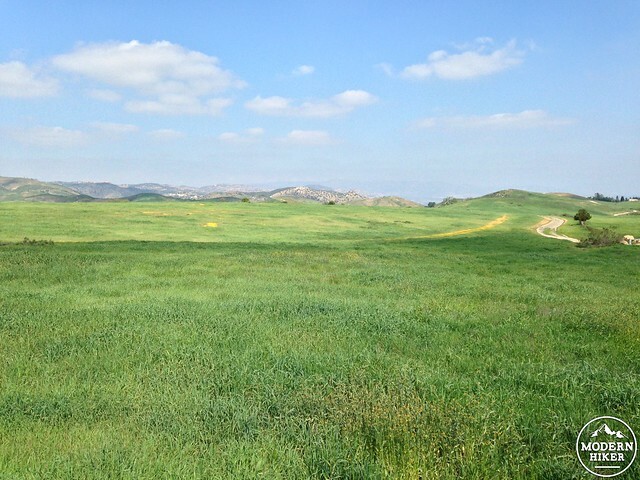 Beautiful weather, rolling green hills. Hard to believe all this great open space is so close. It's well worth the drive. Ahhh. My old stomping grounds.